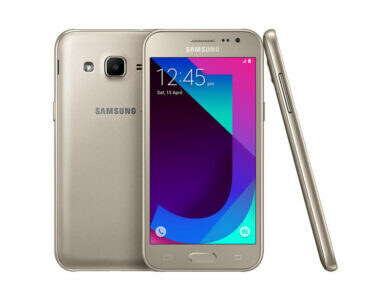 The entry level Galaxy J2 (2017) features a 4.7-inch qHD sAMOLED display. It’s powered by a 1.3GHz quad-core processor. The handset comes with 8GB expandable storage. The Galaxy J2 (2017) sports a 5-megapixel rear autofocus camera with flash, and a 2-megapixel front camera.